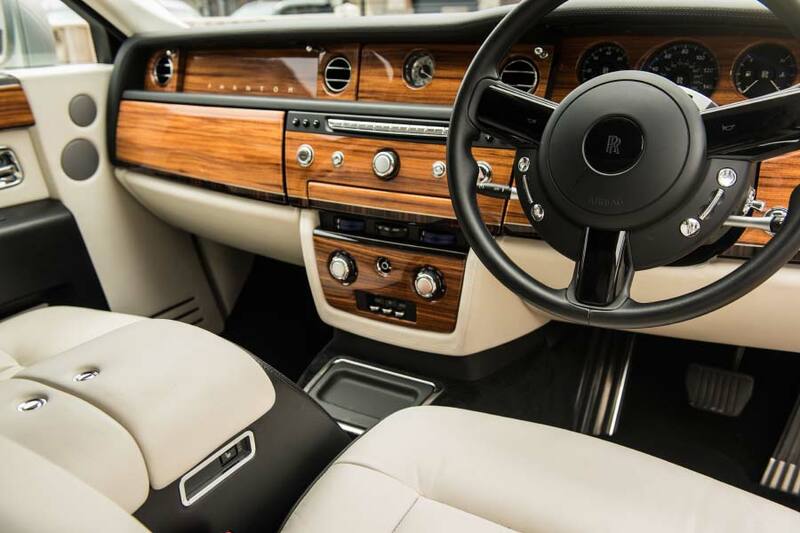 Yes, our Rolls Royce is chauffeur driven by our fully uniformed professional drivers. They are extremely friendly and will ensure you get to the church on time. How many people can the Rolls Royce take? The Rolls Royce can take up to 4 passengers. We can fit 3 people in the back of the car and 1 person in the front. Can the wedding car be used for photos? Yes of course, the car will stay for the photos after the ceremony as this is included in part of the hire. Our Rolls Royce Phantom will be exclusively hired out to only you on your wedding day. We only book this out once so we can discuss how long you need it for when making a booking. We cover up to a 60mile radius from our office which is based in Basildon, Essex. What happens if the wedding car we hire breaks down before it gets to us? We have other cars that will be available, so one of these will be sent out straight away. But please be rest assured that all of our cars are well maintained and are services regularly. Can I come and see the Rolls Royce before the wedding? Yes this is possible. If you would like to give us a call, we can arrange a time when we know the car is available to see. Will the car we use on our wedding day be used for another wedding after? No, our cars are only hired out for one wedding at a time, this way if you wish to have it longer, then this is possible. Yes, we do ask for a deposit when hiring out our Rolls Royce for the day. We can let you know how much this will be depending on how many vehicles you require for your wedding. We can also let you know when the final balance will be due. Do you hire out your wedding cars during the week? Yes, we hire out our wedding cars every day of the week. Please give us a call just to make sure the car isn’t booked up for the day of your wedding. Do your wedding cars have air conditioning? All of our wedding cars are equipped with air conditioning ideal for those hot summer days. They also have CD players, rear entertainment screens and a rear starlight ceiling. This is very effective and looks lovely with the white leather interior of the car.